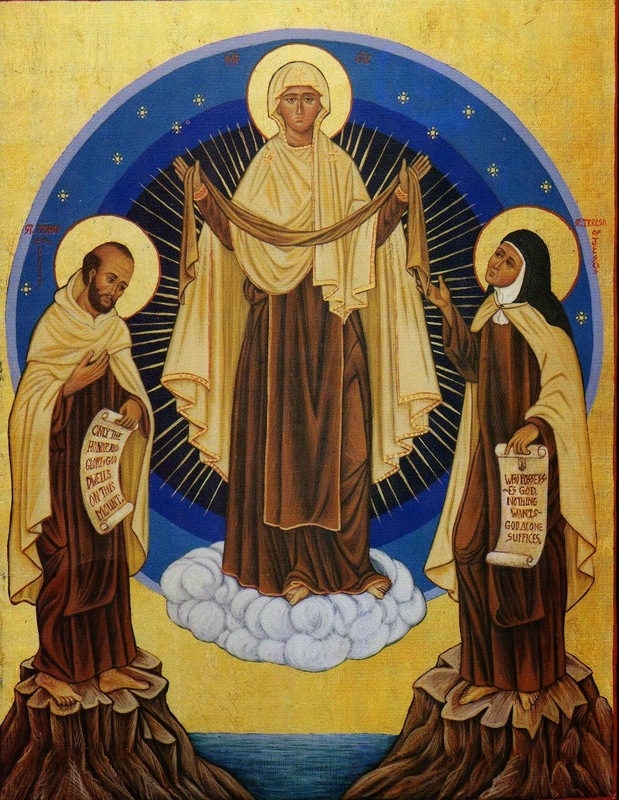 (pause and mention petitions) Our Father, Hail Mary and Glory Be Our Lady of Mount Carmel, pray for us. Say: Our Father, Hail Mary and Glory Be Our Lady of Mount Carmel, pray for us. O Queen of Heaven, you gave us the Scapular as an outward sign by which we might be known as your faithful children. may we always wear it with honor by avoiding sin and imitating your virtues. Help us to be faithful to this desire of ours. (pause and mention petitions) s) Say: Our Father, Hail Mary and Glory Be Our Lady of Mount Carmel, pray for us. Sixth Day With loving provident care, O Mother Most Amiable, you covered us with your Scapular as a shield of defense against the Evil One. Through your assistance, may we bravely struggle against the powers of evil, always open to your Son Jesus Christ. (pause and mention petitions) Say: Our Father, Hail Mary and Glory Be Our Lady of Mount Carmel, pray for us. Eighth Day You give us hope, O Mother of Mercy, that through your Scapular promise we might quickly pass through the fires of purgatory to the Kingdom of your Son. Be our comfort and our hope. Grant that our hope may not be in vain but that, ever faithful to your Son and to you, we may speedily enjoy after death the blessed company of Jesus and the saints. (pause and mention petitions) Say: Our Father, Hail Mary and Glory Be Our Lady of Mount Carmel, pray for us. Ninth Day O Most Holy Mother of Mount Carmel, when asked by a saint to grant privileges to the family of Carmel, you gave assurance of your Motherly love and help to those faithful to you and to your Son. Behold us, your children.mtcarmel We glory in wearing your holy habit, which makes us members of your family of Carmel, through which we shall have your powerful protection in life, at death and even after death. Look down with love, O Gate of Heaven, on all those now in their last agony! Look down graciously, O Virgin, Flower of Carmel, on all those in need of help! Look down mercifully, O Mother of our Savior, on all those who do not know that they are numbered among your children. Look down tenderly, O Queen of All Saints, on the poor souls! (pause and mention petitions) Say: Our Father, Hail Mary and Glory Be Our Lady of Mount Carmel, pray for us.